This week’s theme is “Closest to your birthday,” which is June 21. Out of the 2139 relatives that I have documented so far in my tree I was only able to find two relatives who shared the same birth date as mine (but it is important to note that there are many relatives who are still missing records to confirm). Both are female and neither lived to see the age of thirty. I will only be focusing on one of these ladies as she is a closer relation than the second. Mary Moxam (1877-1900) is my second cousin 3x removed. She was born to Emmanuel Moxam and Ann Johnston on Jun 21, 1877, in Bromley, Renfrew North and was the eldest of eight other siblings. This branch of the Moxam family would remain in the Renfrew area of Ontario until moving out west to Winnipeg in the early 1900s where they settled in Winnipeg. On Dec 6, 1897, Mary married Arthur Henry McClurg (1870-1943), a blacksmith, and would have two children with him before her early demise. A daughter would be born on Oct 3, 1898, named Annie Margaret McClurg and later a son. Mary died on Sep 22, 1900, of blood poisoning after three weeks of suffering. As she bore a son on Sep 2, William Emanuel McClurg, I make the safe assumption that the blood poisoning, also called sepsis, was caused from complications of giving birth. This could have been a result from a prolonged or obstructed birth, an infection following delivery, or illnesses during birth such as influenza. Even today with better standards in health practice it is still possible for women to die of sepsis and it requires early detection and appropriate treatment. 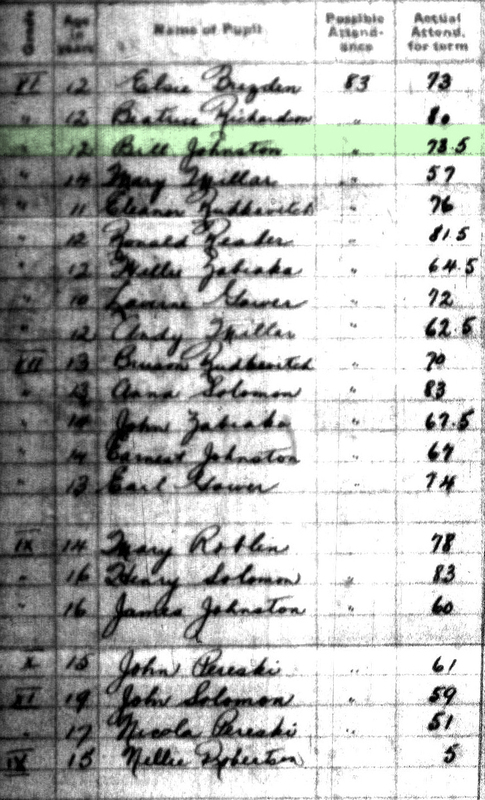 For this week in Amy Johnson Crow’s genealogist challenge: 52 Ancestors in 52 Weeks, I would like to present a 71-year-old family mystery that has yet to be solved. Throughout my genealogical research one of the topics that I’ve enjoy the most is learning about family members who have served in war. This is especially true for two of my direct Johnston relatives, consequently, both named William. William Henderson Johnston was the brother of my great-grandfather, James Washington Johnston. He was born 18 May 1890, in Black River, Michigan and died ‘in action’ just outside of Arras, France on 29 Mar 1917. 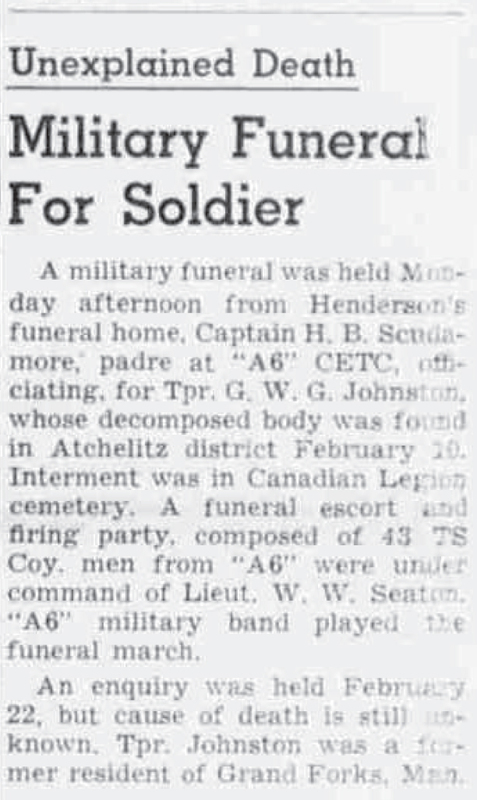 While not mentioned by name, based on the 31st Alberta Battalion war diary for that day, I’ve concluded that he might have been killed by artillery fire. I digress, William Henderson is not the subject of this post, that honour belongs to his nephew, my grandfather’s brother, William G.W. Johnston. I wanted to give some brief history of William’s uncle for a note further below. William George Washington Johnston was born 10 Jun 1917, to parents James Washington Johnston (1876-1967) and Sophia Harriett Basham (1890-1959). A brother to my grandfather, James Henderson Johnston (1913-1981), he was my great uncle, and like many of my relatives he was one that I will never get to meet in this lifetime. Like his siblings, he attended, Mowat School where he completed seven and a half years of classes and can be found in the school records from 1924 to 1931. In the image below, the 1929 Mowat December Attendance Record, you can see that Bill is 12 years old and in Grade 6 while his older brothers are in Grade 7 and Grade 9. 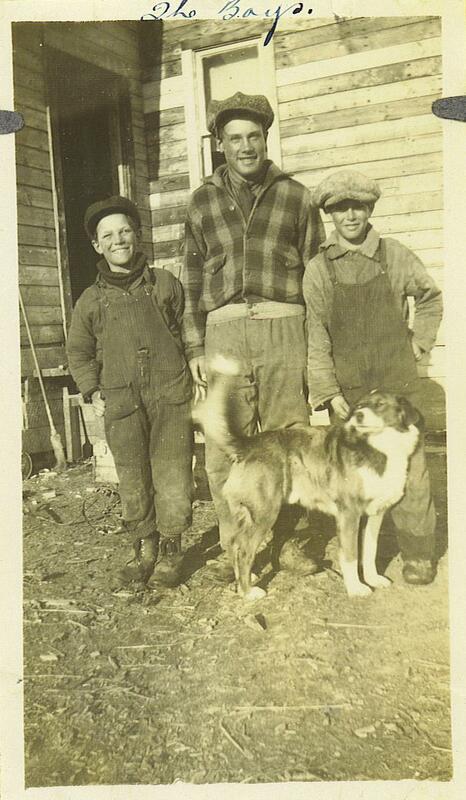 My great aunt wrote a bit about her step-brother, “Brother Bill was a born farmer. But World War II was just around the corner and life changed for all of us.” The two photos below are some of my favourites; I love the poses and the clothing they’re wearing. I wish I had a better copy of the tractor photo. 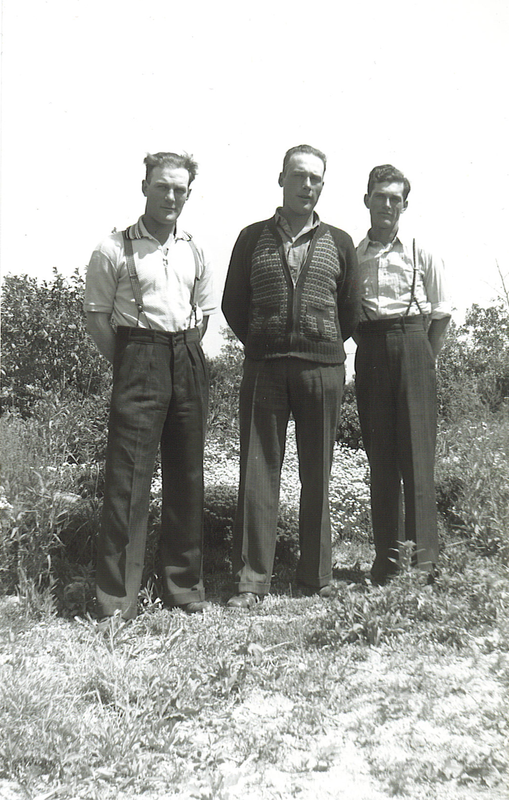 On 15 June, 1942, Bill was called up to the Canadian Military in Winnipeg, MB. On the occupational history form he listed his occupation as a farm labourer and he wished to return to this type of work when the war was over. He completed 60 days of basic training as well as 60 days of advanced training with the Winnipeg Light Infantry. On 11 January, 1943, he was interviewed in W.L.I. Vernon, B.C. The interviewer noted a few interesting things about Bill, “Doesn’t smoke and drinks very little. He would like to be in the heavy artillery because he thinks he’d like it. Dull type, average physique, and not particularly interested in anything. Limited learning ability and no particular liking for Carrier Pl. Unlikely to improve greatly.” He was recommended as either an infantry rifleman or a carrier pl. (Bren Gunner). Bill was admitted to the Vernon Military Hospital on 11 July, 1942, and was discharged on the 31st. He was then granted sick furlough from 1st of August to the 22nd. His sick leave was extended to 5 September and he returned on the 4th of September. On 1 March, 1943, a transport warrant #A362, 085 d/17 Feb 43 was issued. S.O.S. W.L.I. on t’fer to 3rd ??? BN Regina Rifles on 23 July, 1943. S.O.S. for A-P 3 rd Regina Riles on 17 August, 1943. T.O.S. for A-P 2nd Airfield Defence Bn. 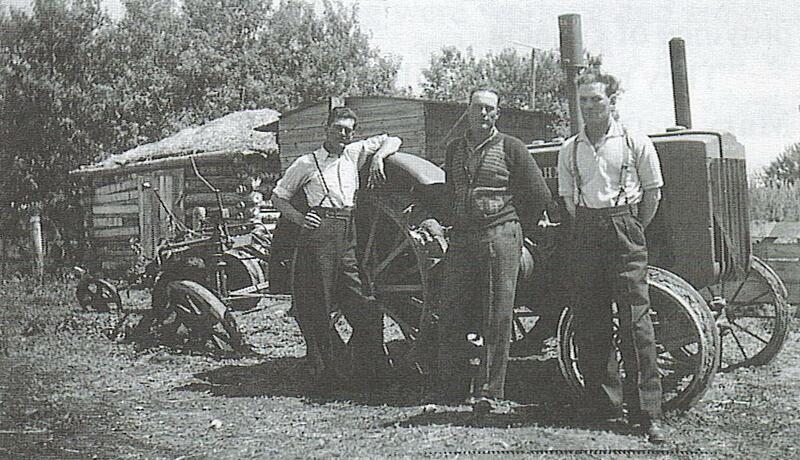 (Regina Rifles) on 18 August, 1943. Attached for a/p ex pay to #12 Dist Depot (Farm Duty) on 31 August, 1943. Ceases to be att’d f.a.p. on retuning to Unit 17 October, 1945. S.O.S. F.A.P. on transfer to 31st (Alberta) Recce Regiment on 5 November, 1943. T.O.S. 31st (Alberta) Recce. Regiment on transfer from 2nd Airfield Defence Bn. (R.R.) on 6 November, 1943. Rank is now a trooper. Att. for rations and qtrs. to KORC(CA) Victoria to 7 December, 1943. Bill never made it to any battlefields. The record of military service indicates that he was listed as being A.W.L. at 2200 hours of 27 February, 1944. He was never seen alive again. 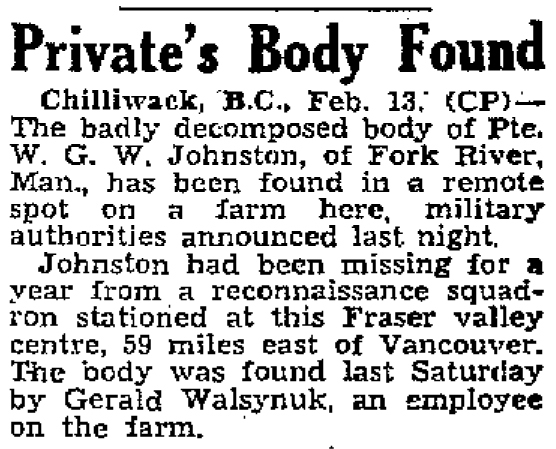 On 10 February, 1945, Bill’s body was found in brush outside of Chiliwack, B.C. The causality notification form indicated that the presumed date of death was the day he went missing on 27 February, 1944. A letter was sent from G.S. Perrin, Brigadier, of the Department of National Defence Army, to my great grandmother, Sophia Johnston, that indicated the body of her son had no evidence of bone fractures and because of the advanced state of decomposition the coroner was unable to record the actual cause of the death. Bill’s body was discovered wholly by accident when an 18-year-old boy, Gerald Walsynuk, found it in a remote spot of Oscar Hotchkiss’ Farm near Lickman Road. The body was found lying behind a log, under some cedar trees, near a stream of water. The body was fully dressed in battle dress including black coveralls and a black tam on the head. The British Colombia Police report sent along with military records from LAC is able to fill in a few questions. Lieut. Chet Woods, who was attached to the 41st. Alberta reconnaissance Regiment, Vedder Crossing, B.C., while talking to a Miss A. Flynn, informed her that a private of that unit had gone insane and wandered away from the camp and that they had searched for the man but without success. If the above is true then it is possible that William G.W. Johnston is the man in question. Capt. Mooney was there that night and might be able to shed some light on the matter. This is where the report ends abruptly. I do not know whether the police were able to get a hold of Capt. Mooney or whether they were able to conclude the report. I contacted the Chilliwack RCMP office but to no avail as their records only go as far back as 1971 and anyone who might have known if there were earlier records have either died or retired. The Chilliwack Archives were able to provide me with a few newspaper articles but they also do not provide a conclusive answer. My next step is to contact Canada National Defence to determine whether they have an archives department that might hold something. I also want to contact the Canadian Military Education Centre Museum to see if they have any ideas on where I should turn next, however, their hours of operation are limited and I have not had the time to contact them. I have no idea what happened to my grandfather’s brother and I don’t know if I ever will. Was the pressure of his post too much for him? Did he loose his mind and commit suicide or was he a victim of homicide? I wonder if a more conclusive answer would have been made if his body was found sooner. It seems like such a bizarre set of circumstances I really don’t know what to make of it. Based on my current knowledge of Johnston family we have no obvious history of mental illness. The closest instance I can think of is that Jane Atchison (1854-1893), William’s grandmother, died of asphyxiation during an epithetic fit. Bill was buried on 5 March, 1945, with full Military Honours in the Canadian Legion Cemetery in Chilliwack, B.C. Row C, plot 57. He is one of 9 individuals buried there. After the death of William George Washington there was some superstitious feelings on naming any further Johnston babies William in case further tragedy might befall the family again. Consequently I have no uncles, cousins, or nephews named William. This week in Amy Johnson Crow’s genealogist challenge: 52 Ancestors in 52 Weeks, I am going to write about my mother’s side of the family. Being the ‘baby’ of the family I have missed meeting many of my older relatives simply because I am the age of many of my nephews and nieces, as a consequence, many events that my siblings have been privy to have happened long before I was born. 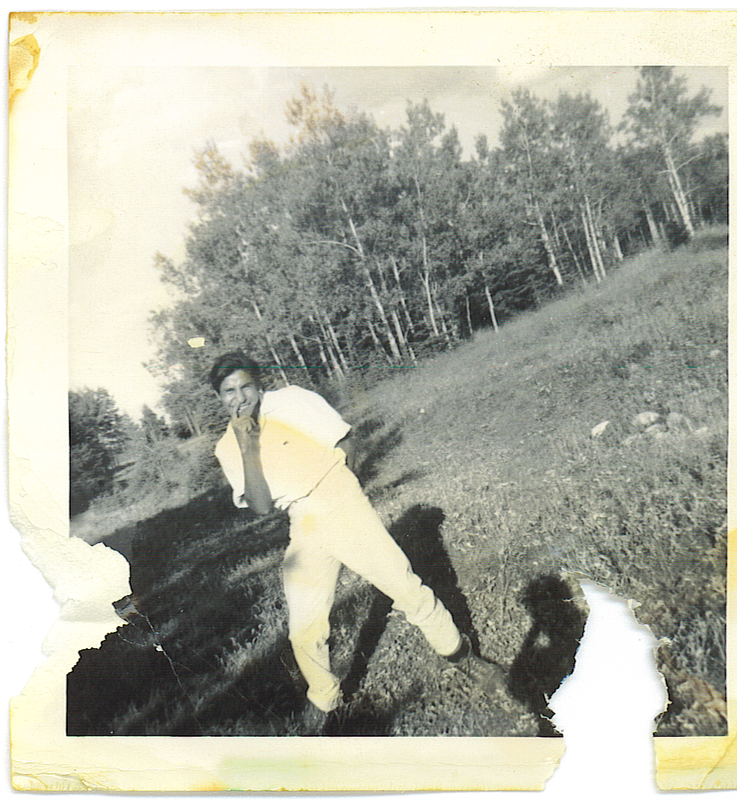 Today, I am going to write about one of my uncles, Joseph Pelletier (1947-1973). Joey was born the second last of my mother’s siblings, eleven children in total. My mother and her siblings, including Joey, grew up on a Blackfoot reserve in southern Alberta. Being Aboriginal children in the 1930s-1960s they would have been required to have attended Indian Residential School. I do not know much about their lives during their childhood and youth as there are only three of the eleven siblings alive today, including my mother, and I believe this reflects on the harsh lives they lived. I can only speculate, based on my studies and work with the Truth and Reconciliation Commission of Canada, on the treatment of my mother’s siblings in the residential school system. My mother is lucky, she can remember mostly good memories of her time at Crowfoot IRS either because her experience was better than most or because she has blocked any painful memories out for good reason. Anyway I am getting off topic- more on Indian Residential Schools in a future post. On the morning of 29 Jul 1973, while swimming in the Bow River, 10-year-old Thelma A. Wells, became caught in the revolving current over a hole in the river bottom and called for help. Joey, my uncle, having heard her cries, entered the water fully clothed and swam to her. A struggle ensued; and both were submerged briefly several times. Joey called for assistance. His younger brother, Robert, entered the water and swam to them. While Robert was able to take Thelma safely to the bank, Joey floundered in the spinning current over the hole and drowned before help reached him. The Carnegie Hero Fund Commission awarded Joey the bronze Carnegie Medal in recognition of his outstanding act of heroism. The purpose of the Carnegie Hero Fund is to award individuals in the United States and Canada who risk their lives to an extraordinary degree saving or attempting to save the lives of others. 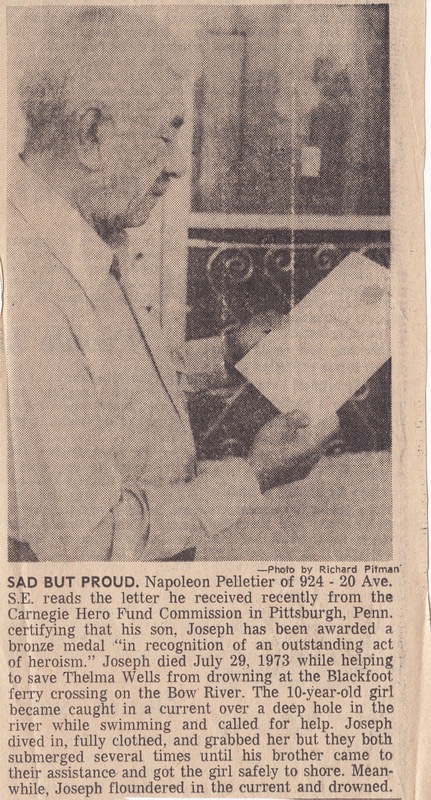 Above is a clipping from a newspaper, most likely from Calgary, that was with the Carnegie award certificate in our basement. I do not know what has happened to the bronze metal itself because we do not have it. I can only hope one of my aunts have it in their possession otherwise it has been lost, most likely when the government seized my grandmother’s property when she passed away in 1990. I am tempted to contact the Carnegie Hero Fund to see whether a replacement medal can be given to the family again. Couldn’t hurt to ask anyway. While I do not know much of my uncle Joey this act of bravery makes me wish I could have known him during his brief life. One of the rare photos I have in my possession shows a smiling young man full of life– even a bit of a comedian, but who isn’t at 15? I wish I had more photos of him as well as other members of my family whose faces are now lost to memory and time. This is why I treasure the photos, documents, and artifacts I am able to get my hands on. It is important to me to discover and uncover as much information as I can about my family- the more I get to know them the more I get to know myself.